Grade Potential prides itself on offering some of the finest social studies tutors available. Whether your child is in ninth grade or twelfth grade, we offer tutoring in World History, European History, American History, Government, Economics, AP courses and more. For a high school student, one-on-one tutoring can make all the difference in being able to reach towards key academic goals. 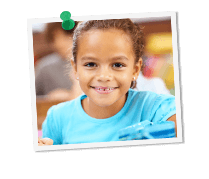 At Grade Potential, we provide social studies tutors that cater to your individual child. We consider his or her personality and learning style and adapt instruction accordingly. Our social studies tutors are not just highly qualified, credentialed individuals, but they are also passionate about helping your children. For each tutoring placement, we work hard to match the right tutor with the student, working to achieve a good rapport that makes learning fun. From the moment you call our office, we’ll work with you to discover what type of tutoring with help your son or daughter best.